After reading Ford's press release regarding the Fiesta's 40 highway MPGs (and 29 city), I got to wondering exactly what the other new subcompacts sold in the U.S. were rated at. 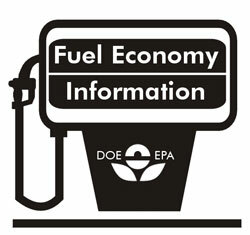 So, I visited FuelEconomy.gov, and got the numbers. I've put them into a table for easy, hassle-free viewing. I think that the revision to the EPA test standards beginning in 2008 left a lot of smaller cars with lower ratings than they actually achieve - the 2007 (old test) Yaris numbers of 36/40 with MT are a lot closer to what I actually get than the '08-10 figures. The new test must, among other things, assume MUCH heavier a/c use than those of us in the northern tier of states actually use. Reviewing these numbers made me feel a little disappointed in some cars. Although the MPG's a still good for all of them I just feel like every car on the list should break 30 MPG with all the new technology available (looking at you Suzuki) and I can't believe there are not more than a couple cars that break the 40 MPG mark. I heard small cars way back in the day use to regularly hit the 40MPG mark. Probably because the engines were weaker, the cars were lighter, and there was less in them. My cars MPG meter says it gets between 35-38MPG. I always take off about 4MPG from that number. Meaning I regularly get 30MPG in mixed city/highway driving on hilly road. For pure highway driving I get about 34MPG. I don't think that's too bad, considering. D2m, 1980s economy cars definitely got 40+ MPG, and you're 100% right why: Weight and power were both significantly less. With the increased safety standards comes increased weight. With the increased weight comes more needed/wanted power.